A general store can prove a great concept since you stock common items that provide for the immediate needs of the general public. Starting and operating a general store doesn’t require someone have any special education or formal training in business, but you should still learn all you can about how to start the business. Making good career decisions involves both self-assessment and market research. Determine the level of competition within the local market so you can find out how and where you will fit in the competitive field. Search the areas nearby and conduct Internet searches. The best locations will offer higher visibility, affordability and fewer competitors. Many websites offer lists of popular competitors within your area. If the competition proves too tough, you may consider establishing the business in another area or choosing a specific product mix that addresses the core competition. Most successful small businesses provide something advantageous by taking what’s already there and developing it with new and innovative features. Formulate a business plan. Determine how much funds you will need to start the store. Understand this information and organize for long-term success. Include your business overview as well as how much profit you need each month for longevity. Conduct market research of the business climate in the retail industry and ask for insight, information from other entrepreneurs. Many successful entrepreneurs enjoy giving advice to start-up entrepreneurs. Search for funding alternatives. Check to see if your city or state offers grants for small businesses. If you qualify for any of those grants, apply. Check all available opportunities from the U.S. Small Business Administration website (sba.gov). Other options might include associations or business loans from your local financial institution. Consider the design of your store’s space. 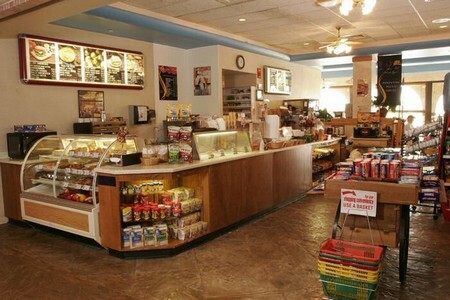 Have your store designed to attract customers with a comfortable atmosphere that makes people feel at home. Consulting with architects and construction workers can help. Make sure also to have the enough storage area and shelving space for product displays as well. The more items the customers see, the more they will buy. Seek out manufacturers and wholesale suppliers or retailers. Search for products in demand in your local area. Make sure to choose the brand and quality carefully. Determine the mark-up price of each product to ensure you make a profit. Review your products regularly to track sales success. Consider replacing the non-selling items with other products and track the performance. Advertise in your local area. Run ads through local radio, television and newspaper. Consider giving special discounts and promos to attract and bring new customers into the store. If you fear the process and don’t have much business experience, you may want consider franchising. A smart move for a successful entrepreneurship, franchising also has the benefit of having an established business name.